Robert Burgess is a graduate from the University of Washington Business School, achieving a Bachelor of Arts degree in Business Administration. He has been in the specialty beverage business for over 32 years. He is recognized as one of the pioneers of the espresso coffee phenomena in Seattle, which has since become the espresso coffee capital in the United States. He is recognized as the pioneer and leading manufacturer of espresso carts and coffee kiosks nationwide. His other company, Burgess Enterprises Incorporated, began to import commercial espresso machines in 1984 and began manufacturing coffee carts and kiosks in 1985. Burgess served on the board of directors of the International Beverage Dispensing Equipment Association for eight years and in his ninth and tenth years served as President and Chairman of the Board for this association. He invented the first cappuccino and fruit concentrate for use in granita machines and blenders. He also pioneered bag-n-box juice concentrates in the Northwest, which has now become the industry standard way of dispensing juice in restaurants and bars. Fresh Cup Magazine, Specialty Coffee Retailer and numerous other publications over the years. He was an advisor for the first specialty coffee magazine in the United States called, Café Ole’. He is regularly sought out to speak as an industry expert. He has regularly spoken at many tradeshows such as Nascore, Coffeefest and the World Coffee Conference, on such topics as “Barista Quality Control, How To Gain Command Of The Variables”, “Specialty Coffee Opportunities And Possibilities With Carts, Kiosks and Espresso Drive Thru’s and More”. He has worked with thousands of entrepreneurs in the specialty coffee business over the last twenty years, including such renown clients as Howard Shultz, Jim Stewart of Seattle’s Best Coffee, Tom Okeaf of Tully’s and Ron Demiglio of Espresso Americano, who pioneered Seattle style espresso shops in Japan. Helping entrepreneurs has always been his passion and love. He has committed his career to helping people who want to get into the espresso industry. Having successfully launched two espresso cart businesses of his own, he decided to put a team together to develop the first location guide called, “Sidewalks to Skywalks, How To Land A Location For Your Espresso Cart”, which helps people in a step-by-step approach to successfully launch their coffee cart business. His company then developed the first operations manual to help people successfully operate and manage their espresso business. With the emergence of Starbucks, as the undisputed dominant chain and brand of espresso coffee shops in the world, he believes there is now a need more than ever, to help the independent espresso operator. Burgess is committed to the independent espresso operators that are hoping to enter or continue to operate successfully in this competitive market place. He believes that to compete successfully against a brand like Starbucks, the independent has to differentiate, by providing superior quality espresso beverages on a more consistent basis, providing better service, or risk losing out in the long run. He believes that the greatest threat to the independents are the other independents that are doing a poor job and are forcing customers to go to Starbucks. Burgess believes you cannot simply copy Starbucks, you have to do a significantly better job. This is why he founded the Seattle Barista Academy in 2003. 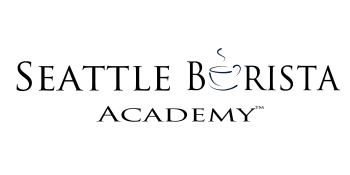 The academy is designed to help train baristas, that are committed to the professional preparation of espresso drinks and to the owner’s professional management of their coffee shops. He has been consulting for many years, and with the founding of the Seattle Barista Academy he has created an entity where he can continue his passion for helping the independent coffee houses succeed and thrive for years to come. A coffee-geek since 2010, Lacy learned to roast while writing her master’s thesis on the role of the coffee industry in Vietnam’s economic development. Q grade certified in 2015, she heads up our quality control and coffee development. When she is not roasting or cupping, she is probably climbing mountains in the Cascades. Christos Andrews has worked extensively as a barista at some of Seattle's most noted cafes, including Neptune Coffee, Tougo Coffee, Broadcast Coffee, Morsel Biscuits, Tony's Coffee, and more. He's competed in the Barista Competition, Brewers Cup Competition, Cup Tasters Championship, and won America's Best Espresso in 2013 at Coffee Fest Seattle. He currently co-runs the Northwest Cup Tasters League.